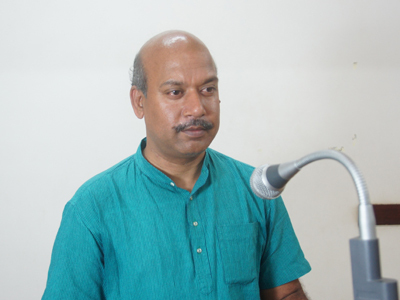 On January 9, 2019, SAFIC organized a Special Lecture Programme by Dr. Kundan Sigh, and the talk was titled ‘Sri Aurobindo and Renaissance in India’. 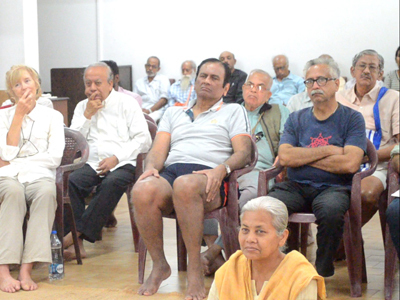 The event was held at the Society House, and was attended by about 40 participants. This was the fourth edition of the SAFIC Special Lecture Series. The Special Lecture event on January 9th opened at 4pm with a short meditation and invocation. Dr. Sampadananda Mishra, Director, SAFIC, warmly welcomed the audience and gave a brief overview of the SAFIC Special Lecture series. He highlighted that Sri Aurobindo Society has already started planning for a series of activities to be held in 2022 to celebrate the 150th birth anniversary of Sri Aurobindo along with the 75th anniversary of India’s independence. With that consideration, the topic chosen for the SAFIC Special Lecture was most appropriate. 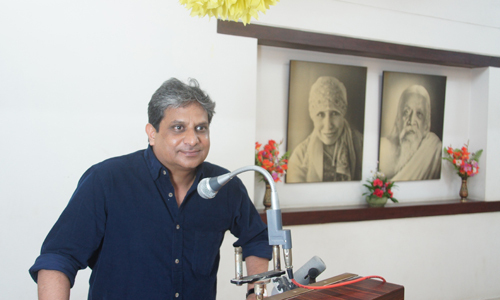 Dr. Beloo Mehra, Research Associate, SAFIC, then introduced the speaker and spoke briefly about the significance of the topic – ‘Sri Aurobindo and Renaissance in India’. She then invited Dr. Kundan Singh to share his insights and perspectives on these and other related questions. 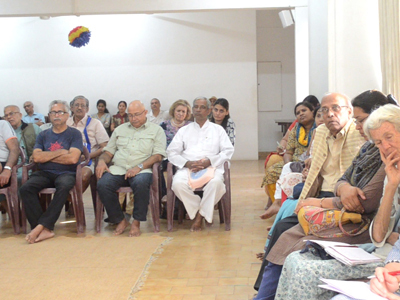 Dr. Kundan Singh opened his lecture with a brief general introduction to the place India and the unique and distinct spiritual character of Indian civilization and culture held in Sri Aurobindo’s larger vision for the humanity and the world. Quoting some of the key insights from Sri Aurobindo’s essays titled ‘The Renaissance in India’, he highlighted what he thinks may be understood by Sri Aurobindo’s emphasis on the ‘recovery of the old spiritual knowledge and experience in all its splendour, depth and fullness’ as the first, most essential work that must be done for a renewal of India’s unique civilizational spirit. He spoke about some of the existing ideologically-driven narratives on India and Indian culture which hamper the much-needed intellectual process of a sincere quest for the truth about India. Dr. Singh spoke about the need to know the past, but in a way that helps us revitalize it, move ahead and bring forth the essential spirit of the past in newer forms appropriate to the present and future that is yet to come. He accentuated that in Sri Aurobindo’s vision and writings for India we find a transcendence of all the binaries of tradition and modernity, conventionalism and progressivism, which must also be an aspiration for the Indian intellectual classes. He further spoke about the necessity of revitalization of the languages of India and the need for wider propagation of Sanskrit. Highlighting, once again, the spiritual essence of the India’s civilizational rebirth, Dr. Singh concluded his talk with another key insight from Sri Aurobindo, namely, ‘the work of the renaissance in India must be to make … this higher view of life, this sense of deeper potentiality once more a creative, perhaps a dominant power in the world’. He then invited questions from the audience members so that a deeper understanding of some of the points presented in the talk may emerge. A healthy exchange of ideas and perspectives followed the talk. Several members of the audience asked pertinent questions. Some questions were in form of seeking clarifications for a few points brought up in the lecture, while others were requests for further elaboration. The event came to a close with Dr. Mishra re-emphasising the timely nature of this topic and highlighting the unique perspective in which Dr. Kundan Singh enunciated on it. He also thanked the audience for their enthusiastic participation in the discussion by posing many significant questions. 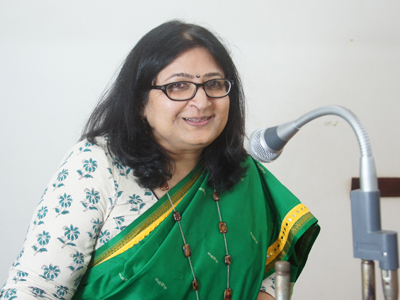 Dr. Mehra gave the formal vote of thanks by thanking Dr. Kundan Singh for an enlightening and thought-provoking session. Dr. Singh has a rich academic experience of teaching and research in the fields of psychology, philosophy and Sri Aurobindo Studies in various institutions in the USA. He has served on the faculty of Sofia University in Palo Alto, as well as the California Institute of Integral Studies where he also earned his PhD in Humanities. He is the Vice-President of the Cultural Integration Fellowship, San Francisco, where he regularly gives talks and seminars on the works and vision of Sri Aurobindo and the Mother. He also holds a Master’s degree in Applied Psychology as well as a B.Sc. in Chemistry from Delhi University. 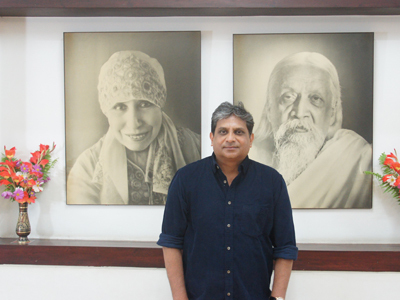 Some of his significant publications include a book titled The Evolution of Integral Yoga: Sri Aurobindo, Sri Ramakrishna, and Swami Vivekananda and a chapter titled ‘Beyond Mind: The Future of Psychology as Science’ in a textbook titled Foundations of Indian Psychology brought out by Pondicherry-based Indian Psychology Institute. His most recent publication, titled Making Children Hinduphobic: A Critical Review of McGraw-Hill’s World History Textbooks, is an expose of publisher McGraw-Hill’s history textbooks for school-going children in California containing Hinduphobic material, set into motion during the British colonial period.